I have thought at times that I am a pretty good delegator. I do so at work, home, and church. Why not pass the work load around? There is no question that more can be done/accomplished if all parties involved are able to work separately and on different items than doing it all yourself. 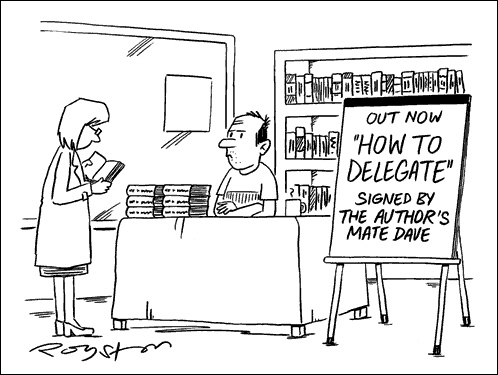 But what happens if delegation isn’t done properly? Mistakes, wasted time, and the ultimate outcome or desired result is delayed or can be completely wrong. Recently I fell short in this arena and learned a valuable lesson. For proper delegation and authority to be transferred there has to be a clear vision and goal. Which means you better have a clear understanding of what needs to happen. With a clear vision and game plan, all future work will be focused and productive. Take the time needed to clearly delegate and greater success will be realized. Best Utah Company to Work For! What Makes Your Employment Solutions Different?